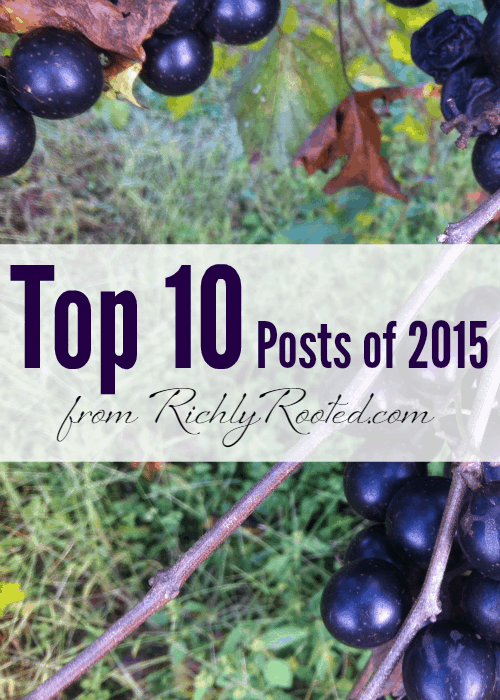 These are the “greatest hits”; the top ten blog posts of the year from RichlyRooted.com! Enjoy this highlight reel, and take a look back over the changes on the blog and in my life this past year. In the fall, we said goodbye to our cabin and moved down the driveway to rent my parents’ basement! It’s been a good change for us, as this new apartment has space for Little Dude to crawl and was much easier to baby-proof. As we continue our second year of living in Alabama, we’re thankful for deepening friendships, greater appreciation of where we live, and lots of time spent with nearby family. Big things happened on the blog in 2015. I got a completely new site design from Simply Designs, (something I’ve always wanted to do!) and indexed all of my blog posts in this Table of Contents. As I like to do every year, I went back through the blog to see which posts were the most popular over the past year. The following 10 posts were the most read and shared posts that I wrote in 2015. I have three sisters by blood, and three sisters-in-law, so I’m no stranger to sister gifts! 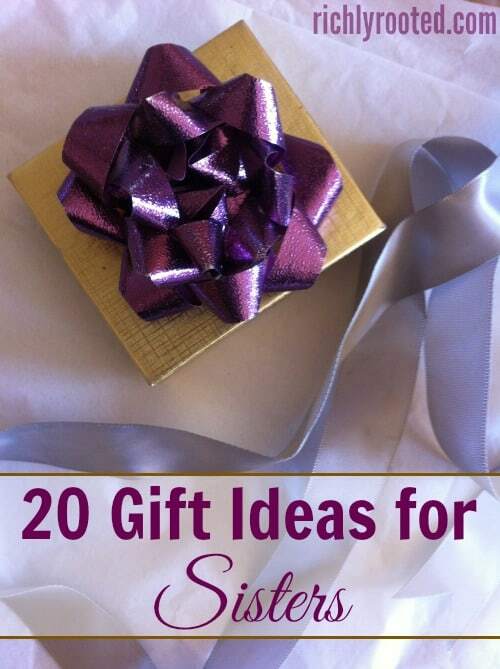 It was really fun compiling this list of gift ideas, and I know I’ll be pulling from it myself for Christmas and birthdays! 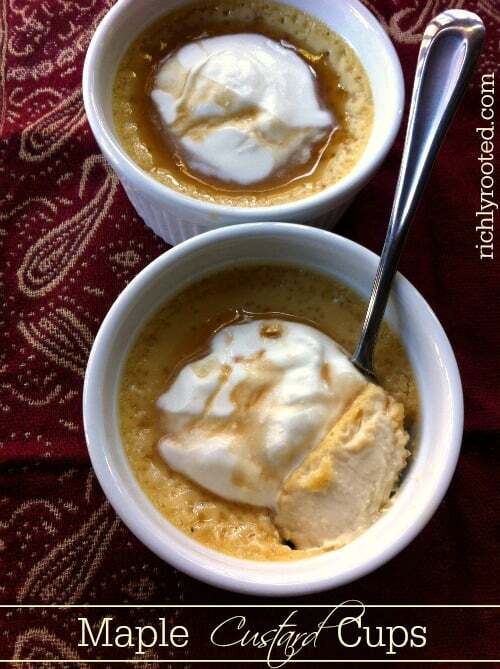 The next time you need a dessert that’s simple yet elegant, try this AMAZING maple syrup sweetened custard! 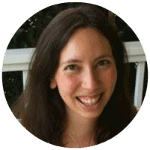 Before I got married and before I had my son, I discovered that there are a lot of “jokes” about marriage and parenting that have a cynical tint to them, and I think we should rethink the message that they send to young couples and parents. This post had some wonderful input from readers, both in the comments section and on my Facebook page. 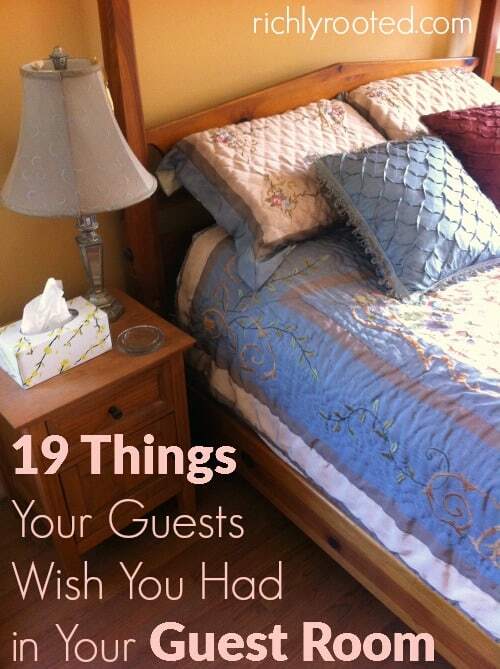 From my experience simplifying my whole home, observing other people’s homes, and hearing feedback from readers, there are certain items that we tend to collect an inordinate amount of–more so than others. 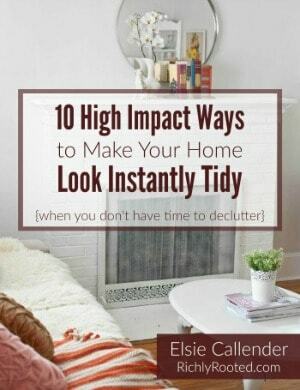 If you want to spend a profitable hour bringing more breathing space to the corners of your home, pick a few of these categories to declutter. Ingredient labels used to be a complete mystery to me. I knew there were certain ingredients I probably shouldn’t be eating, but I had no idea what they were or what alternatives to look for. Over the years, I’ve learned to de-code those labels a bit. 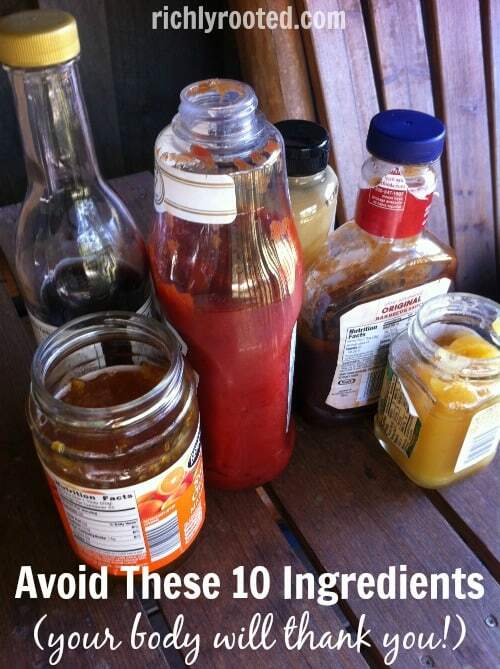 Here are some of the top ingredients we try to avoid in the grocery store. 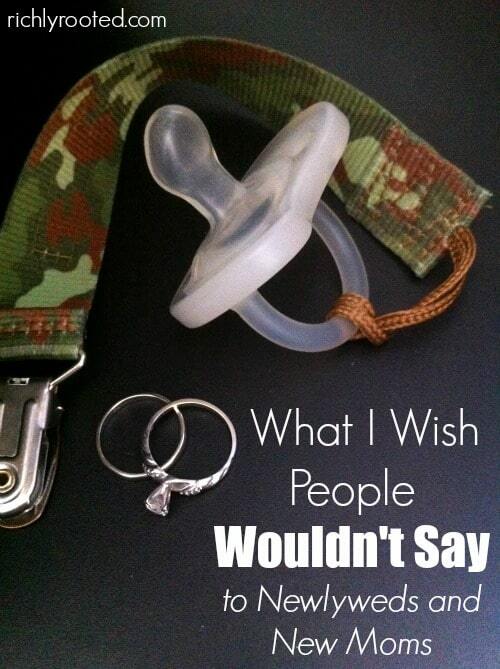 Oddly enough, this post was actually controversial when I shared it on Facebook! 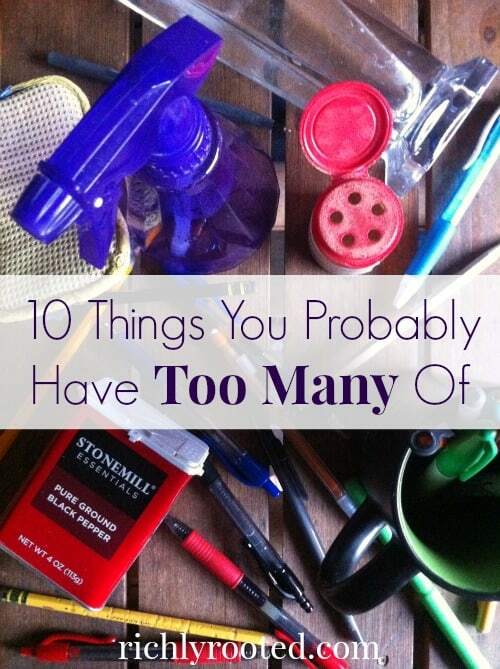 Some people found this list too extreme! However, there were a lot of helpful comments left on the actual post; readers had some great things to add! 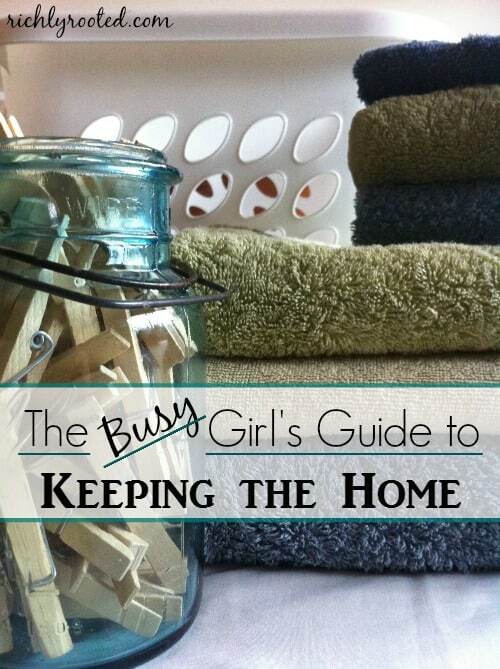 This is simple homemaking for busy seasons! It’s what I clung to when I was deep in book-writing and baby-birthing last spring! 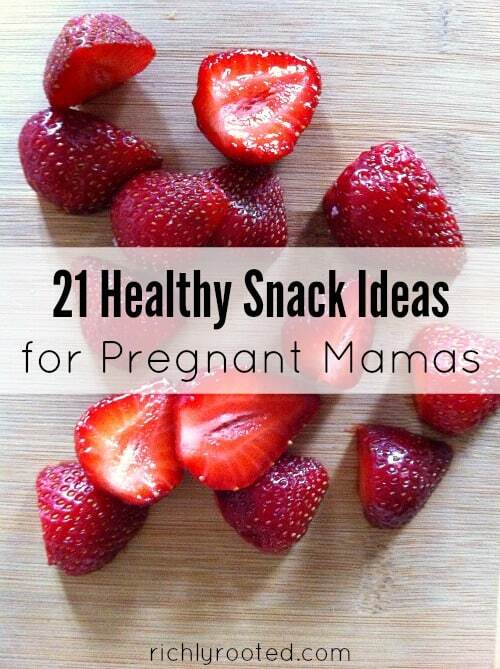 I was surprised that clothing was one of my biggest challenges when I became pregnant! It was hard to keep up with the changes of expansion…and truth be told, I was a little worried about looking frumpy for 9 months! 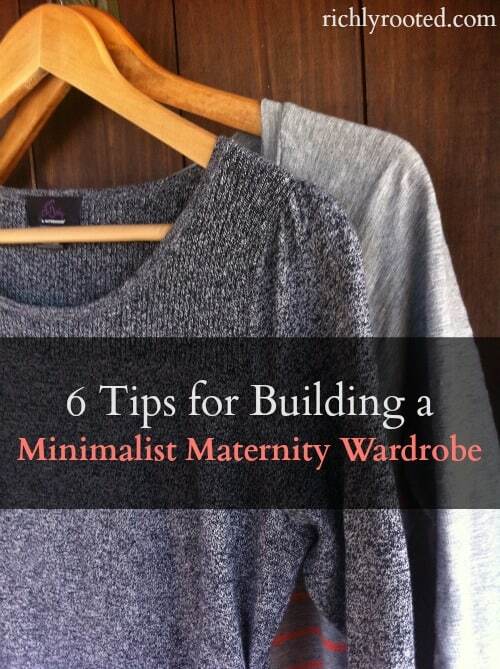 Here’s what I learned about building a simple but solid maternity wardrobe. This was one of my first forays into freezer cooking. It really is helpful to have ready-made food handy for a quick meal! 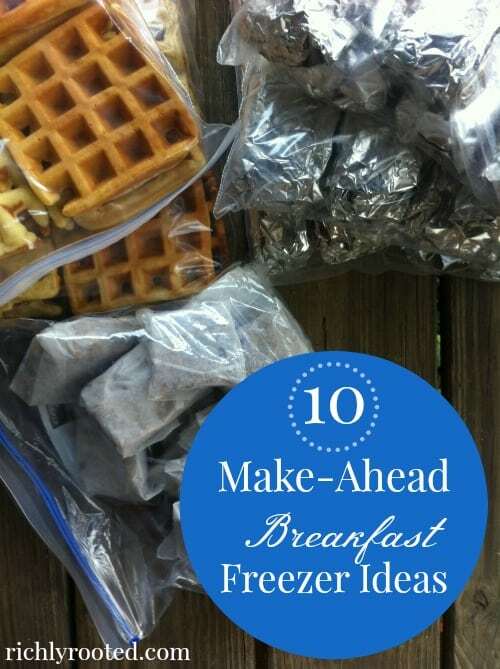 I’m hoping to do more freezer cooking this year. Not only was this the most popular post of 2015, it’s the most popular post on my entire blog to date! It went crazy on Pinterest, and continues to surprise me each month with how many new readers it brings to the blog! P.S. Here are the Top Posts of 2014 and the Top Posts of 2013! #4, #3, and #1 are exactly what I need to read right now. Congratulations on a great year!